Windsor Public Library offers free programs for adults, kids, teens. 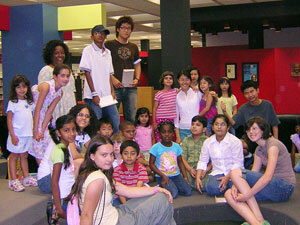 Watch the video about our programs offered to Kids. View our March Program Guide and/or download a print friendly copy. Download our April Program Guide and/or view a print friendly copy. Here is a short list of recurring programs we have at the library. For an exhaustive list, please view the Program Guide. Join us for X-Box, board games or colouring. The choice is yours. Ages 5 to 15. For information call 519-255-6770, Ext. 5000. Hey kids! Give your brain a little playtime after school, either alone or with some friends. E-rated games only. First come, first to get the remotes! For information call 519-255-6770, Ext. 8800. Drop-by after school to play with and create Lego masterpieces. The Clay Sculpture program will be held on Wednesdays, Feb. 25, March 4, 11, 25, and April 1, from 6:00 pm to 8:00 pm by Lori Lorimer. I was just wondering if there will be any baby story time for May as the current times shown have passed.. Also, is there a parking lot or just street parking? Enjoy the benefits of learning baby sign language, encourage bonding, promote early speech and language development. Ages 0 to 12 months with a caregiver. For information call 519-255-6770, Ext. 3300. Hello, are there any music classes for preschool aged children? Unluckily currently we don’t have any music classes at the library. Baby shows or classes in september?? Please view our Guide for a list of all of programs. Any program for babies on March and April? 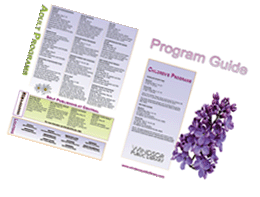 All the programs will be listed in the Program Guide published each month. I am wondering if our libraries will sync with school boards so we can count on open libraries on school Professional Development days? It is very frustrating to find the library closed on Fridays for example.